Get all of the exciting channels included in America’s Top 120, plus your favorite Regional Sports Networks. If you love sports, you will love this package! Whether you love football, basketball, or soccer, the America’s Top 120 Plus package delivers. 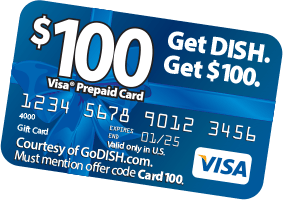 DISH makes it easy to enjoy the best in sports at an affordable price. 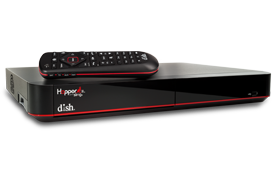 You will love catching all of your favorite games in crystal-clear HD programming with no additional HD programming fee. The price of America’s Top 120 Plus is locked in at $69.99 per month for two whole years — with no chance of your TV price going up! Need groundbreaking original entertainment? DISH lets you indulge in premier series with shows like “Billions”, “Homeland”, and “Ray Donovan”, plus box office hit movies. That’s because when you sign up for America’s Top 120 Plus, you’ll also get Showtime FREE during the first three months! You’ll also receive a free three-month trial of DISH Movie Pack. Sports fanatics will love options like Fox Sports, the NFL Network, the SEC Network, the Big Ten Network, the Pac12 Network, and more. Regional Sports Networks vary by customer address, so make sure to ask for details. Do you prefer content like locals, variety, or news? Get your fix with channels like USA, TNT, Discovery, ABC, CBS, CNN, Fox News, and NBC. Family-friendly favorites like Nickelodeon, Disney, and Cartoon Network are great for kids, so there’s definitely something for everyone in the America’s Top 120 Plus package from DISH.